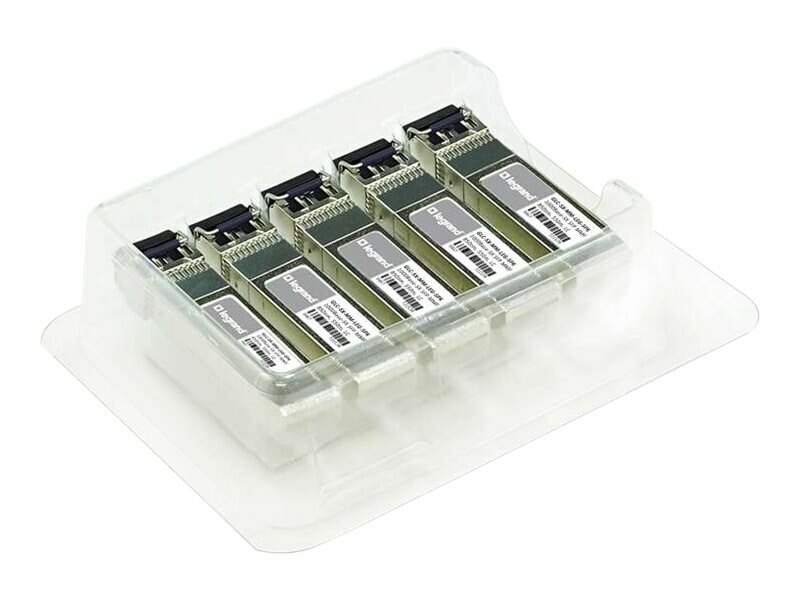 This SFP (mini-GBIC) transceiver module is designed for use with Cisco network equipment and is equivalent to Cisco part number GLC-SX-MM. This transceiver is built to meet or exceed the specifications of the OEM and to comply with Multi-Source Agreement (MSA) standards. This product is 100% functionally tested, and compatibility is guaranteed. The transceiver is hot-swappable input/output device which allows a Gigabit Ethernet port to link with a fiber optic network. OEM specific configuration data is loaded on to the EEPROM of the transceiver at the factory, allowing this transceiver to initialize and perform identically to an OEM transceiver. This transceiver may be mixed and deployed with other OEM or third party transceivers and will deliver seamless network performance.